Interest Free Credit is only available when purchasing a single item. For Terms & Conditions on Interest Free Credit please click here. 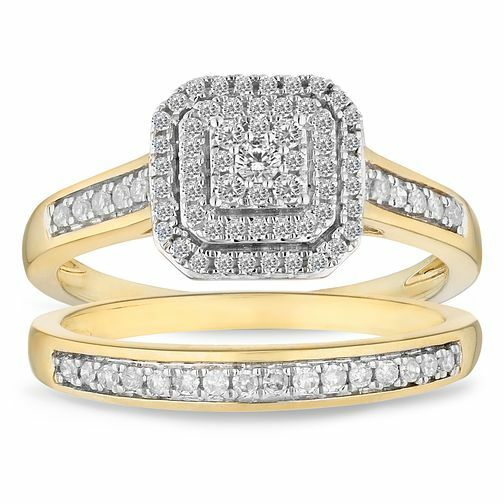 Discover the beauty of bridal sets, perfectly matched engagement rings and wedding rings that make the preparation for the special day easier. Both rings feature equally sized and matched designs that create a beautiful stack when worn. The total weight of all diamonds combined is 1/3ct. The Diamond Collection by Ernest Jones features expertly crafted pieces by diamond specialists.